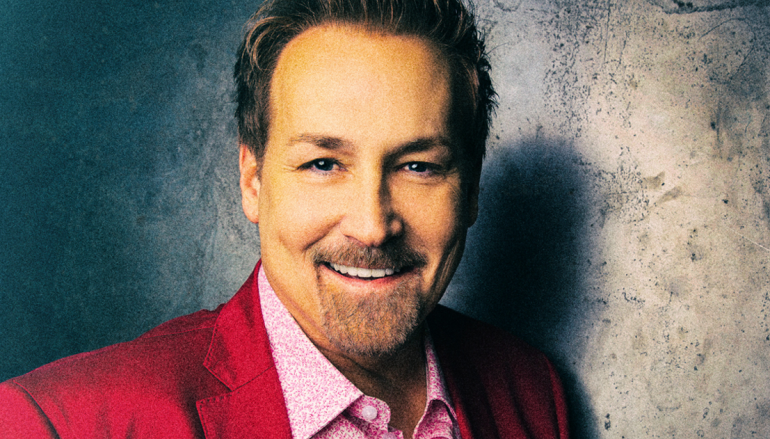 With a career that has lasted pretty much his entire life and winning awards across multiple genres, Michael English is easily one of the most influential singers of our generation. He can shift from traditional southern gospel to soulful blues to rock to pop. You simply can’t put English in a box, stylistically. As a result, listeners are often treated to several surprises when listening to a Michael English album. Love Is The Golden Rule, his second Daywind Records release (and his first of original material) continues this trend. 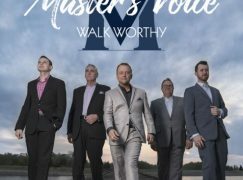 Right off the bat, the creativity is on display with a stirring vocal intro done by David Phelps and Amber Thompson, leading into the opening track. I’m not a fan particularly of slow songs opening an album, but this one builds in a way that it creates anticipation in the listener. Also, having two powerhouse vocalists backing up English helps. The album progresses through a variety of styles. “Little Is Much” is a new ballad that includes the traditional hymn as a bridge to good effect, which would make a good SG radio song, while “Cry Holy” is firmly planted in the more soulful black gospel sound found on some of his Worship album. “None Of Us Are Free” is a bluesy number that might rub some Christians the wrong way, as it suggests that, so long as at least one person is bound, then no one can be free, as it is our obligation to reach all (at least, that’s kind of how I interpreted it). 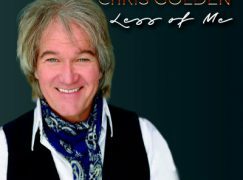 “One Drop Of Love” is a call-back to his 1991 solo debut with a bouncy pop track and backing hornline, showing that producer Jason Clark knows what he’s doing in terms of how to approach an artist. The same could be suggested for “Love Is The Golden Rule,” which is, again, a more bluesy number co-written by Dony and Reba McGuire. It’s actually fairly close in arrangement to Mark Lowry’s take on his What’s Not To Love album that coincidentally released just a few weeks prior, although English’s delivery is a bit looser, especially towards the end. “The Living Years” is a cover of a Mike & the Mechanics song, and recorded by English at least once before, possibly for his Some People Change album (a recording of which can be found on YouTube). It appears that the original take has been used, with the arrangement updated somewhat by long-time friend Jay DeMarcus (which is mentioned in the liner notes). Although a bit long (clocking in at over 6 minutes), it’s one of my favorite songs on the project, dealing with regret over strained relationships between father and son. It’s obvious that Michael felt the lyrics of this song. I have to admit that I owe Michael English, Daywind, and particularly Jason Clark an apology. When I first heard the announcement about this album, my initial reaction was rather indifferent. I was worried that we might wind up with a similar project to English’s Worship album, which was not on par with his previous work. I also wasn’t particularly thrilled with the last two Nelons projects, which Jason had produced. I am happy to say that I was wrong, because Clark, English, and Daywind have easily exceeded my expectations and delivered an outstanding album. Here’s hoping the relationship can continue for years to come! I had planned to write a separate “Take Two” review of Michael English’s _Love Is The Golden Rule_, but I would have mostly just “Amened” what Kyle has already written. I wasn’t so worried about Jason Clark as a producer going in, because I know English is so effective at bouncing his creativity off of someone else until the end result is unique. Otherwise, I agree with Kyle, and my rating for this CD is also 4 1/2 Stars. One song Kyle didn’t mention, “Finally Coming Home,” is rather forgettable filler with the orchestra strings clashing with the nasal tone English adopts. If that song had been swapped for another energetic cut like “None Of Us Are Free” or “One Drop Of Love” or another stripped down song like “Let Me Hold You” or shoot, even another dramatic track akin to “Cry Holy,” I would have likely gone with the full 5 Stars. Wow. I’m glad you told me about “Finally Coming Home” being such an unforgettable filler song. I would never have known without your studied expertise. Imagine how foolish I would have looked to others if they knew it was actually one of my favorites. I’ll be sure to check with you next time before I decide what is worth listening to. David, a few hours ago I was being a sarcastic twit and fired off a reply to your comment and in the now almost light of dawn, I feel bad about doing it but since the comment has not published yet l can’t really remember exactly what I wrote and as far as I can find, there is no cancel button.You are entitled to your opinion about the song under discussion and so am I. Let’s leave it at that and move on. Only one more passing comment though…to you or anyone else giving a review of an artist’s hard work, please remember to temper your judgement with kindness. A reviewer can, or should be able to, get their view across without being unkind. I’ve followed Michael now for more than 30 years and I know he has worked his tail off on this album and I can assure you that not one song was put there to just take up space. In the spirit of this stellar album, let’s be kind. Please forgive me. I appreciate your apology, even though it was cloaked in “unkind” criticism. Gracious, I give up. It was not cloaked in anything. Have a nice day. I had hoped by my response that you’d take my point. There was nothing unkind about what I wrote either. It was simply my opinion. The fact that I rated this CD at 4 1/2 Stars alone should be a clear indication that I liked the CD, and like the artist. Mentioning that I, personally, found one song to be rather forgettable in a collection of otherwise memorable songs, is not “unkind.” I don’t expect everyone to agree, but neither do I expect to be accused of something I never did. Of course you weren’t being unkind to me, but you don’t take too kindly to someone misunderstanding you, do you? It works both ways. Really enjoyed your review Kyle and your input David. 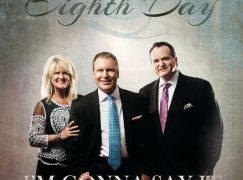 I gave it a listen through on Spotify (yes, I know…the devil’s tool and I’m single handedly destroying southern gospel play at a time…haha) and really enjoyed this project & song selection the whole way through! In honesty, I thought, just from listening, that David Phelps had produced the project, but to my surprise it was Jason Clark. Fantastic Job by Jason, I was blown away by his work. Also, Michael really out did himself vocally. My only critiques came from some sonic aspects of the record (and i’d like to see if Kyle or David heard the same thing), there were a few places where I thought the compression was really strong, almost to the point of burying the vocal and bringing some ear fatigue. This could be just the wanna be engineer in me or a spotify thing haha. Yes, Steven, I noticed the same sonic issues, but similar to auto-tune, it’s an issue that is far too common in all music production today and isn’t going away any time soon, so I didn’t mention it in the review. Also, in some cases, I felt the compression added a bit of artistic value. On the first album done by the Second Half Quartet, I noticed a similar issue with heavy compression. In that case, though, I think it was more done to “thicken” the sound, as it was done with a relatively small group of studio musicians. You mention you’ve only heard it through Spotify. For this review, the record label did not provide us with an actual CD. We got the artwork and a private link to a page where we were able to listen to the songs streaming. It might not be an issue on the CD. However, many music lovers like yourself enjoy music in some sort of streaming format rather than listening to the CD on a great sound system. Since the record label was comfortable providing the product to us in this fashion, I feel any critique of the compression, etc., that we noticed is indeed fair, even if it’s more an artifact of the compression…and by compression, I mean compression applied in the studio to the vocals and instruments to maintain consistent loudness, and that other form of compression which reduces the file size and puts it in an MP3 or other compressed audio format. I try to give the benefit of the doubt, that the CD would be better, but that was my biggest objection to “Finally Coming Home.” There are spots where the orchestra strings are basically at the same volume as the lead vocal AND in a similar pitch range as well. If they were spread out wider in the stereo field, I might not notice the conflict so much. 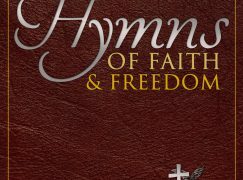 As far as music drowning out vocals, that happens in most churches every week. You might want to correct your typo Reba Rabo-McGuire to Reba Rambo-McGuire for the benefit of search engines. Thanks for the review, haven’t heard it yet, but plan to do so soon. Thanks for your honest review. I personally think this is his best project in a long time. Finally Coming Home is actually one of my favorite songs, but I can’t stand None Of Us Are Free because it is just terrible, logically speaking. However the rest of the album is fantastic. I think Michael has improved vocally since Worship or maybe it’s just better production. Worship was a forgettable chapter in Michael English history.